I’m a huge Zelda fan, so when Nintendo announced they were releasing an updated version of Majora’s Mask for the 3DS, I immediately pre-ordered it. 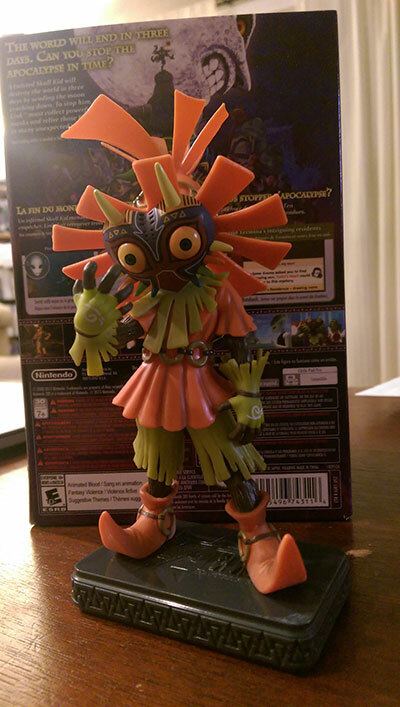 Turns out it was a good idea as the limited edition version (with a skull kid statue!) sold out with in a few hours. Nintendo did a great job with the statue and I’m really glad I was able to snag one. In my opinion, that was the only Majora’s Mask themed item they got right. They made a Majora’s Mask 3DS, but it’s all gold with the mask in a black outline. All I can say is….what were they thinking? Majora’s mask has great vibrant colors, and they could have made a purple 3DS with the mask in full color, popping out on the lid. I only needed a passing glance at the actual design to decide to pass on it. They did almost the exact same thing for the Majora’s Mask messenger bag available to Club Nintendo members – all black and no color. I was once again super disappointed. The other reason I was excited for this game is that Majora’s Mask is one of the Zelda games I haven’t played a bunch of times. While I’m still remembering quite a few things, there are times when I’m not a 100% sure what is coming next, and that’s a great feeling. It also helps that this game is slightly abnormal when compared to the other Zelda games. The three day mechanic and having masks that transform Link in various ways definitely make the game stand out. I’ve only completed one dungeon so far, but I’m enjoying it just as much as the first time I played it. The only downside to the updated version? Nintendo once again added the hint stones that show you exactly what do, just like they did with Ocarina of TIme. I feel it really hurts the game if you use them as half the fun of these games is figuring out where to go next and solving the puzzles that come along. Plus, it’s fairly easy to figure things out already as Tatl (your companion fairy) gives you plenty of hints. 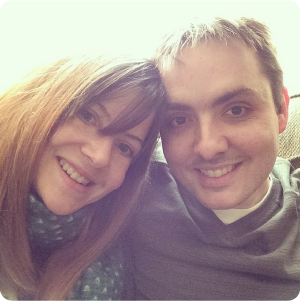 My suggestion – Don’t use them. You’ll thank me later.